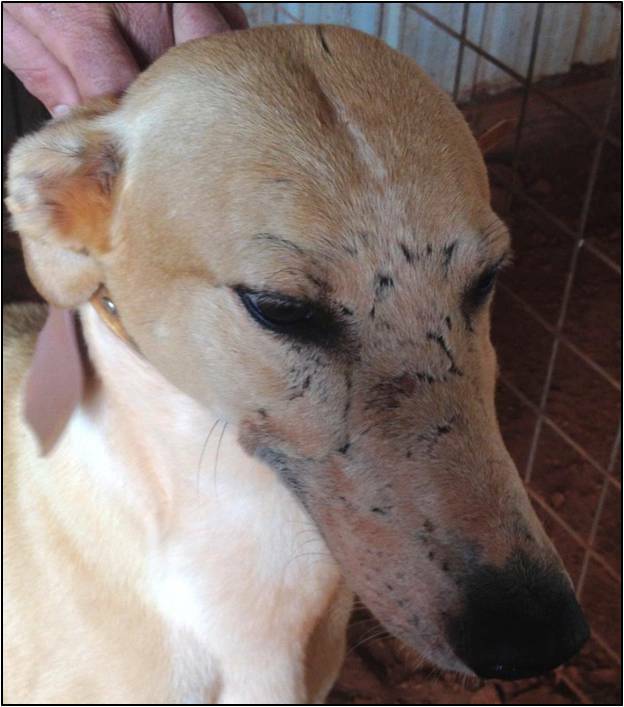 A greyhound in Oklahoma that is used to hunt coyotes is presented with lethargy and fever. A CBC reveals anemia. The owner provides proof of current vaccinations and states that routine flea/tick prevention is used. The referring veterinarian suspected Rocky Mountain Spotted Fever but the dog did not improve with doxycline. A photograph of the greyhound is included below. Note the suspicious fighting lesions on the face. A blood smear was performed. The arrows are pointing to two intraerythrocytic parasites in the photomicrograph below. The arrows are pointing to two small piroplasms. 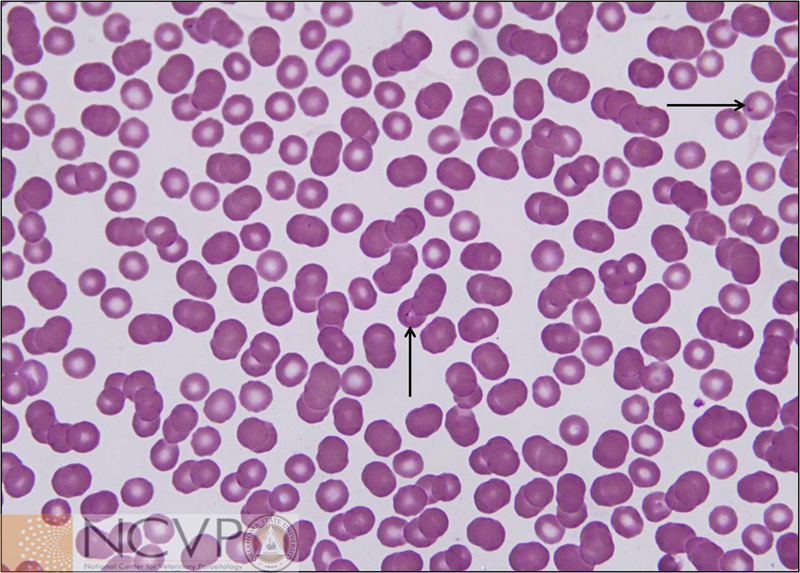 Most commonly Babesia gibsoni is the small piroplasm of dogs that is associated with direct transmission through fighting (particularly among fighting pit bull circles) in Oklahoma. However genetic characterization identified the parasite as Babesia conradae, a small piroplasm, morphologically indistinguishable from B. gibsoni, most commonly reported in dogs from California (and at the time of this case, had not been documented in dogs outside of California). Interestingly, the owner was quite adament that this greyhound had never been to California; The owner had purchased the dog as a young puppy from a breeder in Kansas, and the dog had since never been out of Oklahoma.